Mr. Pross was directed by Mrs. Charles Cooper to send a $1,000 check to help replace the burned dormitory. 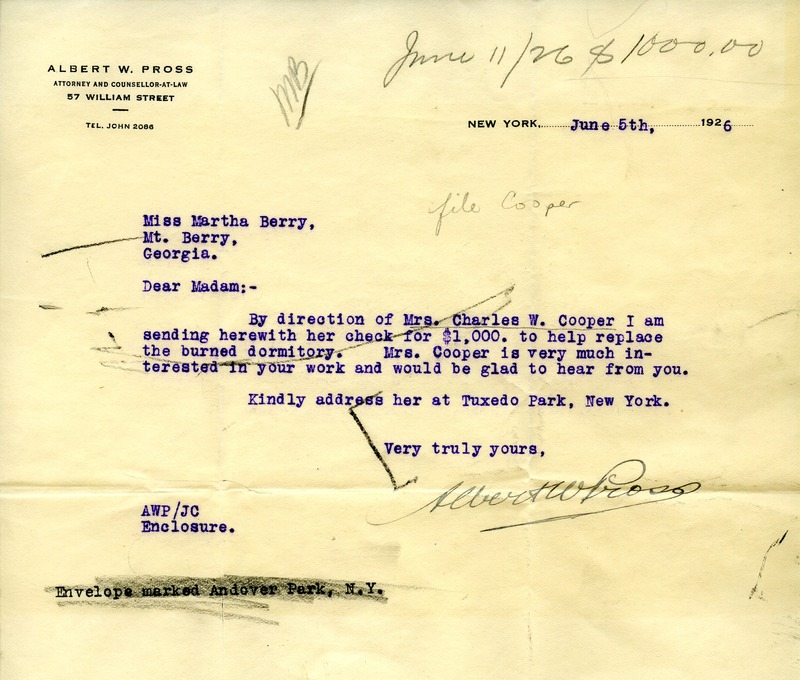 Albert W. Poss, “Letter to Miss Martha Berry from Albert W. Pross.” Martha Berry Digital Archive. Eds. Schlitz, Stephanie A., Chelsea Risley, Alan Henderson, et al. Mount Berry: Berry College, 2011. accessed April 21, 2019, https://mbda.berry.edu/items/show/1018.